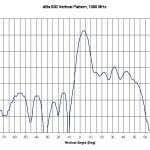 530, 6 Sector Squitter, Ground Station Antenna Antenna | dB Systems Inc. 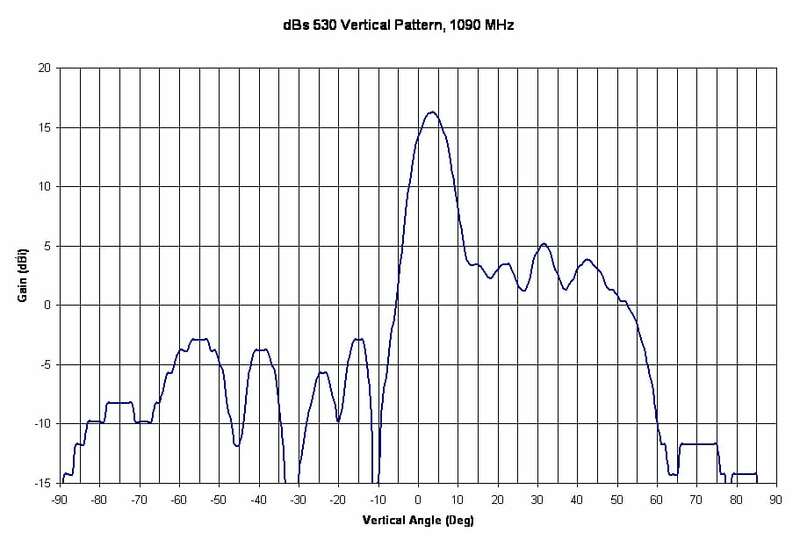 The dBs 530 is a very high gain (> 16 dBi), six-sector squitter (six beam) ground station antenna. It is used at each GPS squitter en route ground station in an ADS Air Traffic Control System. The system provides surveillance and data link services for all appropriately equipped aircraft within a 100 nmi (or greater) radius of the ground station. The antenna provides full azimuth coverage using six nominally separate 60° sector beams in the azimuth plane. Breaking the coverage volume up in this way allows greater gain to be achieved and therefore greater range than would be provided in a single omni-directional antenna. It also may be used to reduce the interference environment by suppressing signals originating from aircraft in other sectors. The antenna is vertically polarized and broadband. It is specifically designed to operate with Mode S signals operating at 1030 ± 5 MHz and 1090 ± 5 MHz. 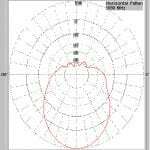 The antenna is broadband, however, and can be used at any of the DME frequencies between 960 to 1215 MHz. The antenna is comprised of six identical reflector antennas with each antenna covering a separate 60° sector of the full azimuth circle. Each separate antenna beam has its own input connector as well as its own RF monitor port, which couples incident RF power at a level 25 dB down from the input power level of each antenna beam. The antenna requires no tuning or adjustments and utilizes a 12 element array. 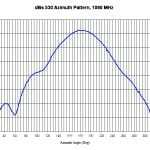 Peak power handling capability is up to at least 5 kW peak power at 3% duty cycle. 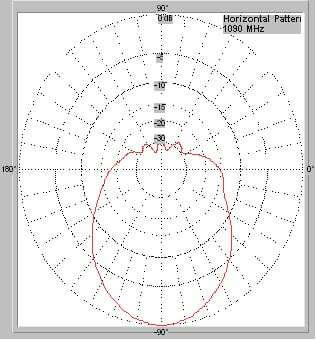 Main lobe gain is > 16 dBi, horizon gain is > 14 dBi. Location of the main lobe is 3 to 4 degrees above the horizon. Type N female coaxial receptacles are used for all RF interfaces. 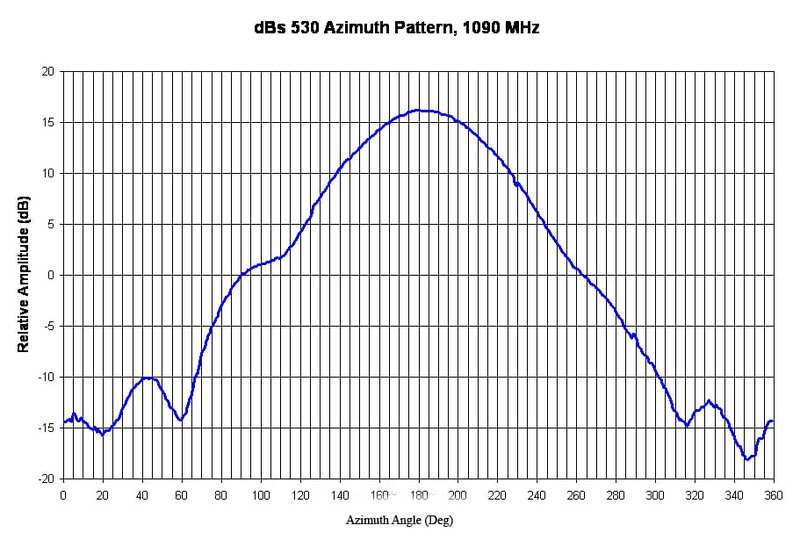 RF input is 50 Ω and VSWR is less than 2.0:1. The entire antenna, including all six arrays, are enclosed in a protective fiberglass radome. dBs 530 with Marine Option (P/N: 500300-120): The dBs 530 Marine Version antenna is an optional upgrade as well. The RF transmission assembly is completely sealed and weatherproofed to protect in harsh environments such as salt water, extreme humidity, wind, sand, snow, and ice. Contact our factory for more details.